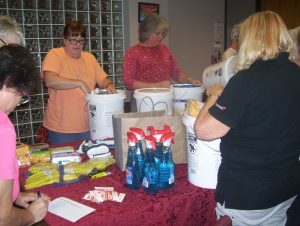 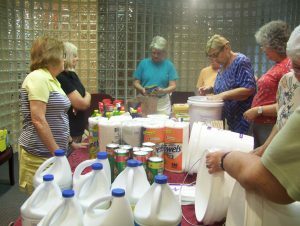 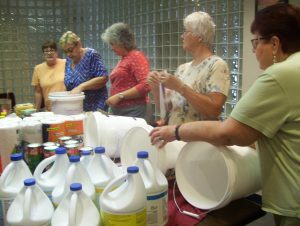 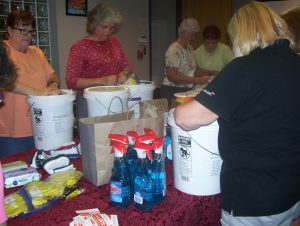 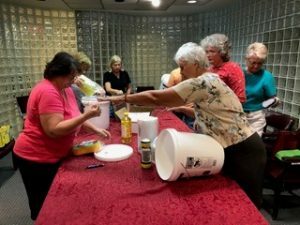 In cooperation with The LCMS Disaster Response program of Synod, the Florida-Georgia District invited all congregations to join the joint effort to create one thousand (1,000) or more prepared Flood Buckets to assist LCMS Disaster Response mercy efforts to those affected by flooding. The District asked that each participating Congregation try to put together at least ten (10) Flood Buckets. Trinity jumped in to help and over the past several weeks has been collecting supplies in the Narthex to create 10 flood buckets. 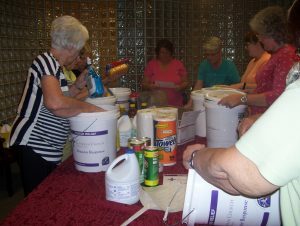 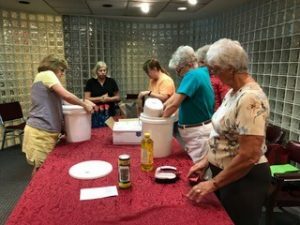 Just this morning, the ladies from Trinity’s Women of the Word (WOW) Bible study gathered all those supplies together and assembled the buckets. 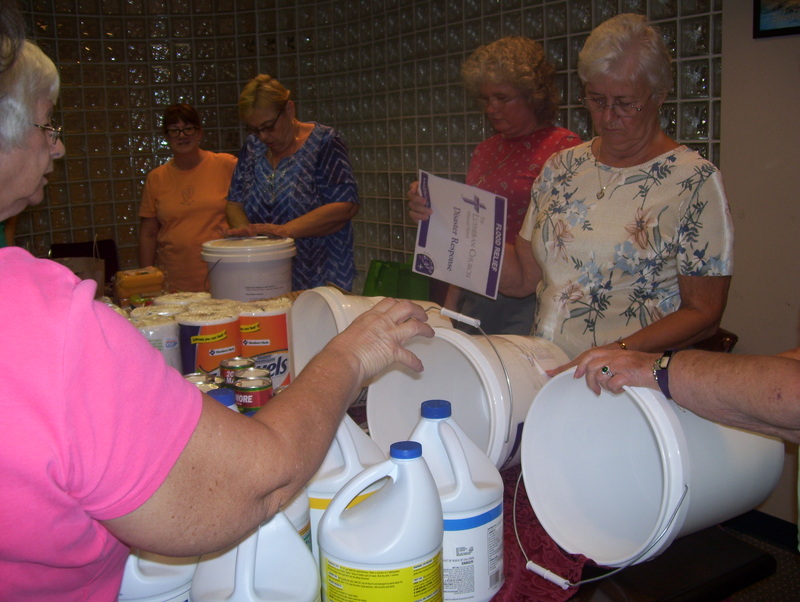 Sometime next week, more Trinity volunteers will pick up our ten buckets and drive them to the collection point in Plant City. Thanks to everyone who participated in and contributed to this collection effort. 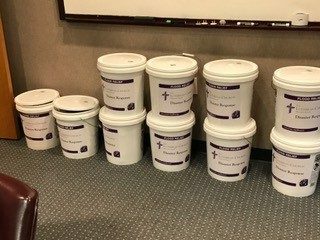 We’re already seeing the devestating effects flooding can have on a community after Hurricane Harvey, and our small contribution to clean-up efforts by way of these flood buckets is meaningful! 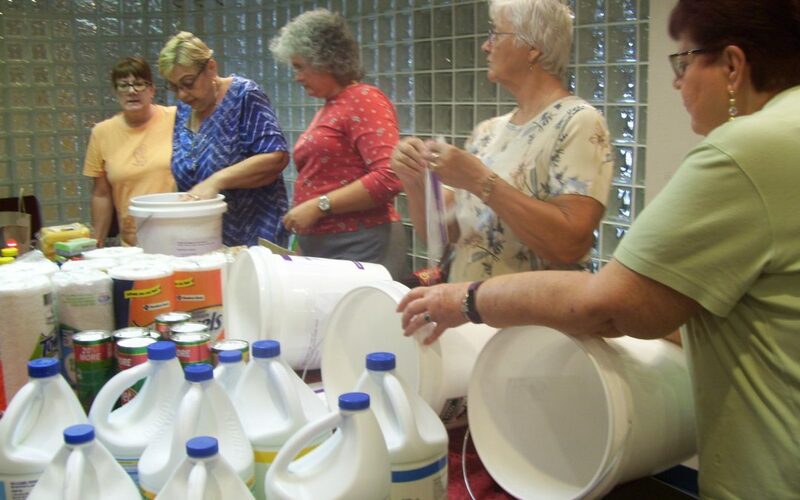 Combined with other FL-GA District churches, we’re able to make a significant impact.